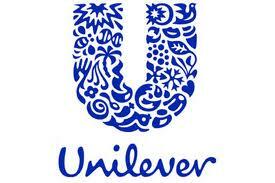 My previous post on Unilever was at the same time last year. Today they have announced results for the full year to 31st December 2015 (link via Investegate). The Company reported an impressive 10% rise in underlying sales and a 14% increase in core earnings per share. However profits were down 6% on 2014. 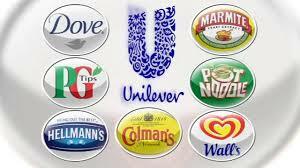 Unilever said underlying sales growth in emerging markets, where it makes more than half its sales, rose to 7.1% from 5.7% in 2014. CEO, Paul Polman said "We are preparing ourselves for tougher market conditions and high volatility in 2016, as world events in recent weeks have highlighted. Therefore it is vital that we drive agility and cost discipline across our business. We are further strengthening our innovation funnel while shortening innovation cycle times, stepping up our digital capabilities and rolling out a global zero based budgeting programme. Our priorities continue to be volume-driven growth ahead of our markets, steady improvement in core operating margin and strong cash flow." A 4th quarterly dividend of 30.2 euros - 23p will be paid in March. This will make a total of 120.8 euros for the full year - an increase of 5.9% but after FX conversions, the dividend paid to UK holders is just 88.49p for the full year (90.02p 2014). Although returns have been affected by currency fluctuations, these things have a way of balancing out over the longer term. By mid morning, the shares were up ~2% at £29.00 - more or less in line with the wider markets. Although I have been reducing my shares portfolio in recent months, I have so far resisted the temptation to dispose of this one which has been one of the stalwarts of my portfolio for several years. Total return over the past year was 15% which is far ahead of the FTSE 100 - there is little doubt this is a quality operation so I may well hang in for a while longer. For those who would like a more in depth overview, I recommend a recent post by No More Waffles. This started off as my investment trust income portfolio. Over the past year or so, it has morphed into a collectives portfolio as its scope broadens to include my low cost index funds and ETFs. I last updated on my collectives income portfolio in August. The past year has seen a change in strategy to my individual shares portfolio and, to a lesser extent, my collectives portfolio as documented in my previous update. Although this is demonstration income portfolio, it largely mirrors my own holdings. However, whilst with my real investments, I withdraw most of the income for living expenses, with this demonstration portfolio I will reinvest the income at the end of each year either into an addition investment trust - as with Blackrock Commodities Income trust last year - or recycle the income generated into one of the existing holdings - which is what I will do with this years income. So, how have the various investments fared over the past year - has the income risen - how do returns compare against my Vanguard trackers? 3. LifeStrategy 60 (acc) index fund. The managed trusts have provided mixed returns - Aberforth Smaller +14%, Edinburgh +15% and Nick Train’s Finsbury Growth & Income + 12%. On the down side are Blackrock Commodities -32%, Murray International -14% and New City -5%. the portfolio has provided a total return of just 0.06% over the past year. The value of the portfolio at the start of 2015 was £35,106 compared to the current value of £35,129 - a rise of just £23. This takes into account dealing charges of ~£85 for the various sales and purchases over the year. As I continue to depend on the returns from my investments to pay the bills and put food on the table - at least for the next 3 years when the state pension will kick in, the objective of the portfolio is to produce a dependable income. The aim is a positive total return rather than just focussing on natural income. This year my strategy has evolved to include the option of selling units from my Vanguard LifeStrategy index fund. Capital appreciation is always welcome but will largely follow the ups and downs of the general stock market. I have therefore put in place a 10% cash buffer equivalent to two an a half years ‘income’ to cover periods when market returns are negative. Last years dividends of £1,222 were reinvested in the addition of BlackRock Commodities Income Trust (BRCI) . Although the income has continued to roll in from this trust, the share price has seen further weakness over the 12 months as global oil and commodity prices have taken a beating. Income this year has increased to £1,280 - a rise of 4.7%, however the new addition of Vanguard LS is the accumulation version which does not pay out any income. If I were to factor in a notional £100 ‘income’ from this index fund, the total for the year would just exceed my target of £1,365 set at this point last year - this would represent an increase of 12.9% on 2014. This gives a yield of 3.9% based on current valuations (maybe a little higher as markets fall early in the new year), so income requirements are very much on track. The accumulated dividends of £1,280 will be reinvested in the Vanguard UK Income fund - a further 8.10 units making a total of 14.7. This fund tracks the FTSE 350 higher yielding shares and will have benefited from the holding of second tier smaller companies which have performed much better than the FTSE 100 this past year. The main objective of the portfolio to date has been the generating a rising natural income to keep pace with inflation. This year, once again this has been more than achieved - inflation is currently running close to zero. Looking ahead, the objective will need to change to reflect my new strategy and therefore as the balance shifts more towards VLS 60, income will become a combination of natural yield and sale of units or, withdrawal from the cash buffer where there is negative returns over the year. Assuming combined growth in dividends and the acc. units of my index fund of around 5%, my target income by the end of 2016 is £1,430. Whilst its always very difficult if not impossible to forecast capital returns, I am fairly confident the income figure will be there or thereabouts by the end of December. If I continue to wind down my individual shares portfolio over the coming 12 months, I will probably merge the two as the proceeds from my share sales are moving into collectives. At the end of the day I aim to find the best fit of a strategy which matches my personality combined with low costs and more simplicity. This has been quite a significant year for me involving a few more changes than usual so apologies in advance for the lengthy post! In March/April I decided to review my whole investing strategy. The outcome was to begin to simplify and diversify - wind down my individual shares portfolio and reduce some of my managed funds. The proceeds were diverted towards an increased passive strategy - in particular, the Vanguard LifeStrategy index funds. I last posted an update on progress in November. I have also started to operate a more flexible approach to taking income from my investments. A large part of the first half of the year was spent writing my latest ebook ‘DIY Simple Investing’ which was self-published in June. Turning to my portfolios and following on from my half year review at the end of June, I have just completed a review of my actual investments - sipp drawdown and ISA - for the full year to the end of December. The FTSE 100 started 2015 at 6,566 - in April/May it briefly rose above 7,100 reaching a new all time high before retreating over the second half. Some 6 months later, the FTSE was at a 3 year low below 5,900 as oil prices continued to fall (currently ~$37 per barrel). It has finished the year down 324 points -4.9% closing at 6,242 - if we add on say a further 3.6% for dividends paid, this will give a negative total return figure of -1.3% for the full year. The FTSE All Share index is up 1.0% for the year helped by returns of over 11% from the second tier FTSE 250. In the past I have used the return from the FTSE 100 to measure the performance of my diy portfolio returns. However as the portfolio has become more globally diversified, I now use an average of 3 Vanguard funds. So far as cash deposits go, the Bank rate has remained at a record low of 0.5% and the savings rate on my instant access account with the Coventry remains the same as last year at just 1.5%. As mentioned earlier, my individual shares portfolio has been the main area of change following my review of strategy. With the markets riding high in March/April, I took the opportunity to start reducing the number of holdings. Sales included Hargreaves Lansdown, DS Smith, Sage and Nicholls. Some of the proceeds were redirected to the Vanguard UK Equity Income fund. A little later saw the sales of Centrica, Plastic Capital, Charles Stanley, Diageo, IG Group, Sainsbury and Reckitt with the proceeds reinvested into the Vanguard LifeStrategy 60 fund. August saw the sale of Glaxo, Booker and easyJet and again, the proceeds were reinvested into Vanguard LS 60. 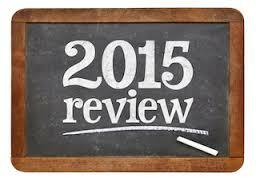 My review of strategy and corresponding reduction in shares came largely when the markets were at a high point. Whilst this has inflated the annual return figure for my shares portfolio, the passive collectives sector into which most of the proceeds were directed has been adversely affected as the markets have drifted back down during the second half of the year. The better performers have been media group Sky up 27.7%, house builder Berkeley Group +58.8%, Nichols +27.2%, DS Smith +23.8% and Sage Group +27.3% (all figures include dividends paid). The returns have been held back by the well documented dire performance of the commodities sector. My one-stop commodities play, BHP Billiton is down 36% although this was offset a little by the demerger and later sale of South 32, also oil sevices group Amec Foster down -44% following a warning on profits and a future reduced dividend. Total income received on the shares over the period is 3.4%. Obviously I have not received full year dividends for those shares which were sold in the first half. Collectively, dividends have increased by an average of 7.5% over the year - the highest increases have come from Next 16.3%, Legal & General 21%, Berkeley Group 11.1%. Tesco provided me with little cheer - no dividend this past 12 months combined with a slump in the share price - not the smartest of moves to top-up my holding last year. The total return including income on my individual shares has been 8.5% which has certainly helped to keep my overall returns in positive territory. Over the 12 month period, I have taken the opportunity to replace my Asia focussed trusts with the Vanguard Asia Pacific ETF. I also decided to reduce my holding in Murray Income, Murray Intl. and Temple Bar. The total return for my basket of trusts over the year was fairly flat at just 0.8%. 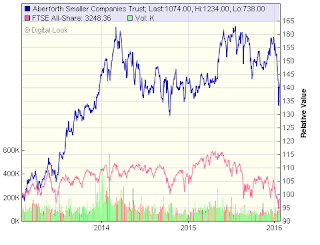 The better returns came from smaller companies specialist, Aberforth (again) up 14%, Edinburgh (once again) up 15% and Finsbury Growth & Income up 12% The trusts that has struggled for me this past year have been Blackrock Commodities Income (unsurprisingly) -32%, Murray International -13% and Dunedin Income -7.8%. Income yield from the trusts portfolio has been steady at 3.9%. The collective increase in dividends has reduced to just 3.7% (2014 4.7%). The highest increases were Finsbury 7.1%, Murray International 4.7% and smaller companies specialist Aberforth 5.3%. My Vanguard All World High Dividend ETF performed strongly last year but although global markets have generally done better than the UK market in 2015, for some reason the distribution of income has been reduced by 19% this year compared to 2014 and which has impacted on return. Over the past year this has seen a total return of -5.2% including 3.0% income. In March, I added the Vanguard UK Equity Income fund to my portfolio with the proceeds from several individual share sales. The fund gives investors access to a broad range of around 140 dividend-paying securities from across the FTSE 350, while reducing the risk of being overly invested in a small number of high-yielding shares or particular industry sectors by limiting the percentage of the index invested in any one company or industry. I have just received my second half-yearly dividend of 379.36p per unit which makes a total of £7.77 for the year represent an uplift of 9.7% on the equivalent distribution in 2014. This is very acceptable. This fund is probably the nearest proxy for my higher yielding shares portfolio but obviously far more diversified. Finally, a significant percentage of my redistribution has been invested in the Vanguard LS 60 index fund. The intention is to sell down units each year to provide ‘income’ and I have set aside a cash buffer reserve representing 10% of the fund’s value from which I can draw upon for income in years when returns on the index fund are negative. Since purchase in June (two tranches), the fund has advanced by 1.5% so with a following wind, I am hoping I can draw down my required ‘income’ of 4% from the fund at the end of my first year. The 10% cash reserve meanwhile is earning 1.50% interest in my building society. As mentioned earlier, my index funds and ETFs have taken the ‘hit’ from the sale of shares and reinvestment at the height of the markets. The total return for my index collectives has therefore been negative over the second half of the year with a total return for the year of -2.7%. As ever, the PIBS and fixed interest sector has provided a steady and predictable income of 6.1% however capital values have declined by -1.9% leaving a total return of just 4.2% for the year. The best performances came from Skipton BS PIBS which provided a return of 6.1% and Lloyds bank preference shares 7.1%. My largest holding is the Coventry BS PIBS which are due to mature in June 2016. I will therefore need to give some thought as to where to reinvest the redemption proceeds. As a whole, the portfolio has delivered a total return of 2.7% over the past year (2013 13.3% & 2014 5.4%) including the payment of 4.0% income (2014 4.5%). The lower income figure this year reflects the transition of a significant allocation into my Vanguard LS index fund which is the accumulation version where all income is automatically reinvested. The return of 2.7% is not as high as recent years but given that inflation is zero, it still represents a real return and builds upon significant positive returns for my efforts in 6 of the past 7 years. I am starting to feel comfortable with my revised strategy - less individual shares means less monitoring of dividend receipts, annual reports etc. The move to index funds and ETFs provides more global diversity and in particular the equity/bond balance provided by the LS60 fund gives more stability and makes life very simple as it is automatically rebalanced to maintain the 60/40 ratio. I hope this addition will make it easier to leave alone and avoid the tinkering. Well, the balance has certainly shifted and my individual shares are now less than 15%. My portfolio is becoming less volatile, more balanced and globally diverse. At the same time my total pot has grown a little more.